So today I thought I’d revisit a product that really has amazed me since I purchased it. If you’ve read my older posts you’ll know that I’m an absolute skincare freak and trying out new products to find the one that works best is what I really like to do. But one product really has stood out to me, and It’s becoming one of my all time favourite EVER products I’ve used. 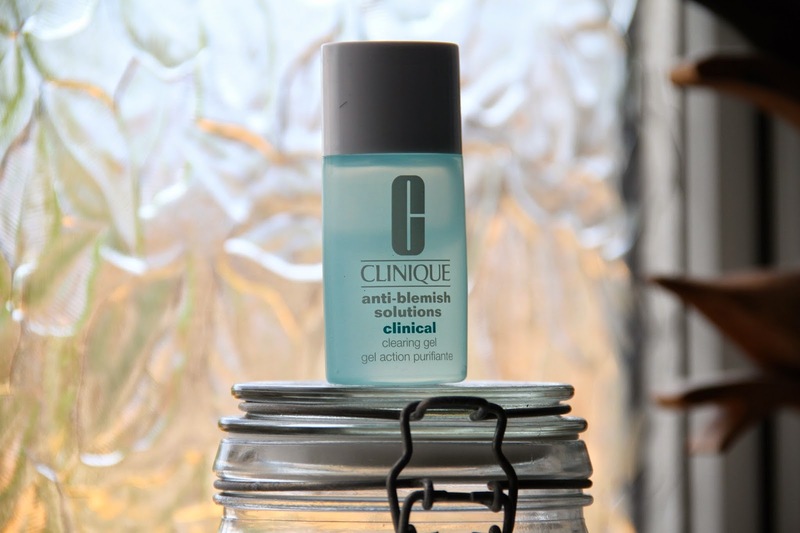 I behold you, the Clinique Anti Blemish Solution Clearing Gel. Not only is that fairly low cost compared to some products, its easy to get hold of, simple to applicate and actually works! You can find this in I’m guessing any Boots store with a Clinique counter, at only £20! So for the details… This is a spot treatment solution to pin point direct spots. This can easily be fitted into your daily skincare routine, I always put it at the end so its the last thing that touches the bad boys. Some people may disagree with this but its where I’ve found it most effective. On a morning I will dab a little bit onto individual spots that are beginning to show, then on a night I’ll coat my face in a thin layer before bed. It comes out as a gel solution and I must admit the smell isn’t fragranced at all and smells like something you’d get from the pharmacy. But I don’t mind, because I can see the effects within a few hours. Immediately, redness is reduced and breakouts happen a lot more often, and I mean a lot. Obviously the other products you are using alongside your skincare routine are helping but I’ve found this treatment gel really does make a difference. If you fancy reading my original review for this product, click here. Let me know what you think of this, or if you have any other spot treatment gels/creams you recommend! Previous Post Skincare | What is your skin type?